What's the Real Appeal of a Plant-Based Skin Care Routine? - ClarityRx Skin Care What's the Real Appeal of a Plant-Based Skin Care Routine? In the last year, sales of vegan beauty products have skyrocketed by 38%. The number is staggering, but when you compare it to the 600% growth in veganism in the United States alone since 2014, the number should be much greater. So, why isn’t it? 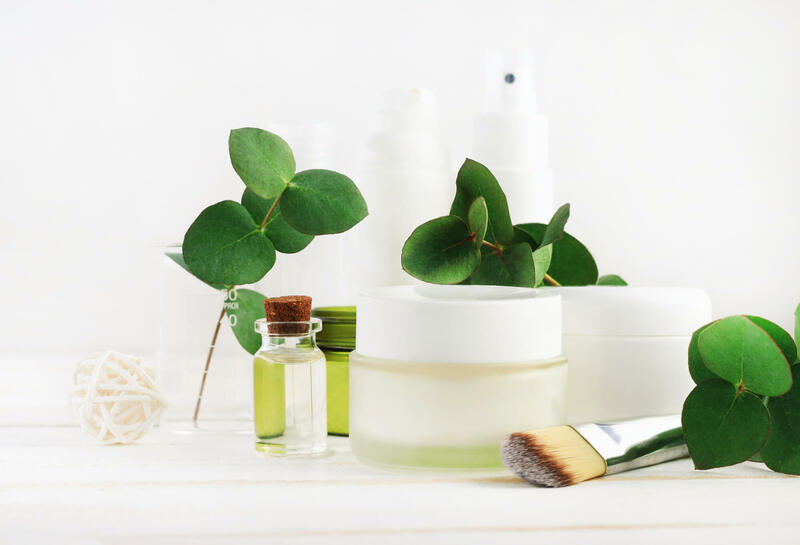 For starters, many people – including vegans – are unaware of the benefits that switching to a plant-based skin care routine has. We’re going to fill you in on why going vegan on the outside is just as important as the inside. What Do All of These Terms Really Mean Anyway? Buzzwords like “organic skin care,” “vegan cosmetics,” and “natural skin care” may be all the rage in the world of beauty but that doesn’t necessarily mean consumers know exactly what they’re getting when they purchase plant-based, organic, or vegan skin care products. In some cases, the words are simply that, words that companies use on their product labels that make you assume you’re getting something that sounds good but you’re not getting exactly what you think you are. It can be difficult to navigate through the endless array of products marketed as organic, natural, vegan or plant-based when you’re trying to only buy products from vegan skin care brands or product lines that claim to be plant-based when you can’t tell who’s telling the truth and who’s stretching it. Let’s take a quick look at what all of the terms are and what they actually mean. These products contain only organically-produced ingredients. In other words, these products do not contain anything created in a lab like preservatives or pesticides. An organic product must have a minimum of 95% organically-based ingredients but can contain preservatives or pesticides, as long as its makeup isn’t more than 5% of lab-produced ingredients. These products have the USDA Seal of Approval, meaning that the United States Department of Agriculture has put the product through its rigorous organic certification process. These products must have a minimum of 70% organically-based ingredients. These products do not contain a USDA Seal of Approval. This is another word you’ve seen brands use to describe their products but it’s not a regulated term. In fact, in many cases, it’s a marketing ploy used to get you to buy their product. The reason why is that the federal government doesn’t require companies to list the ingredients contained in fragrances. If you pick up any product you have right now that claims to be a “natural skin care product,” or has “natural” somewhere on the label, you’ll probably see “fragrances” listed at the bottom of the ingredients. Fragrances usually contain a dozen or so chemicals that are by no means natural. One of the more popular chemicals in fragrances is phthalates. “Phthalates” doesn’t even sound natural, does it? It isn’t. It’s a group of chemicals that are added to plastics to make them more flexible. Like “natural,” this is also an unregulated term. However, it’s the most straightforward. Products that are plant-based are derived from fruits, vegetables, and plants – that’s it! This is another pretty clear term. Someone or something that is vegan doesn’t use or contain animal products. But be wary of brands that claim to sell vegan skin care or vegan cosmetics – many popular makeup and skin care brands have caught flack over the years for claiming to be vegan when they weren’t. PETA’s Beauty Without Bunnies campaign has a database where you can search for companies and brands to find out if they’re cruelty-free and/or vegan. Why Should I Have a Plant-Based Skin Care Routine? Now that you know the differences between all the buzzwords floating around the marketing world, especially when it comes to the beauty industry, you now know that if something is labeled as “plant-based,” it’s not going to have harsh chemicals that can cause a myriad of issues. You may be thinking, “That’s great, but I don’t have sensitive skin so why does it matter?” Using a plant-based skin care routine isn’t only beneficial to people with sensitive skin. It also helps alleviate allergies, which are developed over time. And that means so will you! One of the biggest trends in organic skin care and natural skin care is the increasing popularity of rose water. Several companies now sell it from high-end cosmetics and skin care brands to low-cost options found at drugstore chains and other big-box retailers. Rose water smells incredible! Why? Because it’s made from steeping rose petals in water. For the truly organic and plant-based rosewater products, that’s all it’s made from. Because plant-based products are made from the essential oils in fruits, vegetables, and plants, it’s going to have a natural, pleasant smell without the strong odor of chemicals. A few years ago, “sulfate-free” was a word to look for when searching for natural skin care products and it’s still a hot trend today. A sulfate is a chemical that is used in shampoos, detergents, soaps, cleansers, and other de-greasers to act as a surfactant. In simple terms, it’s what causes your soap or cleanser to lather and foam. A sulfate-free product is one that doesn’t strip or dehydrate your hair or skin. Many skin care and cosmetic brands add drying agents to their products. Just as their name suggests, they dry out your skin and no one wants that! The essential oils in plant-based skin care products help to moisturize and that’s something just about everyone is looking for. We have to say “may” because everyone’s chemical makeup is slightly different. Some people with oily skin may say the oils found in plant-based skin care products trigger breakouts and the chemicals in traditional products help curb their acne. Others find that the chemicals in popular and “mainstream” products wreak havoc on their skin and organic skin care clears up their pores completely. However, we can point to one study that found that acne is basically non-existent among native people in Papua New Guinea and Paraguay, populations who largely eat a plant-based diet. At Clarity RX, we believe beautiful skin means healthy skin. Our products don’t contain harmful or synthetic chemicals, fragrances, fillers, or artificial color. Visit our shop or contact us with any questions on how to make Clarity RX the foundation of your plant-based skin care routine.